To discover 3 travel spots which offer exciting attractions and activities as well as world class business opportunities, simply continue reading to learn around 3 incredible travel spots for businesses. Arguably the best city to visit for business on the west coast is San Fransisco, which is a hub for well established technology focused businesses and tech start ups alike. So it’s well worth San Fransisco if you’re interested in mixing and mingling with other entrepreneurs, who have bright ideas and visions for the future of their businesses. If your business is technology focused you’ll also be able to attend tech trade shows, where you’ll get to market your business to potential stakeholders, distributors and clients. If you have a bit of spare time to explore San Fransisco, when you’re off duty, it’s well worth taking a drive to the iconic Golden Gate Bridge, riding a tram and enjoying drinks at one of San Francisco’s numerous harbor-side bars and restaurants. Lastly, if you’re a coffee addict you’re in luck as San Fransisco is known for producing some of the country’s best coffee. According to recent business surveys, Vancouver has been named the top business destination in North America and for good reason. 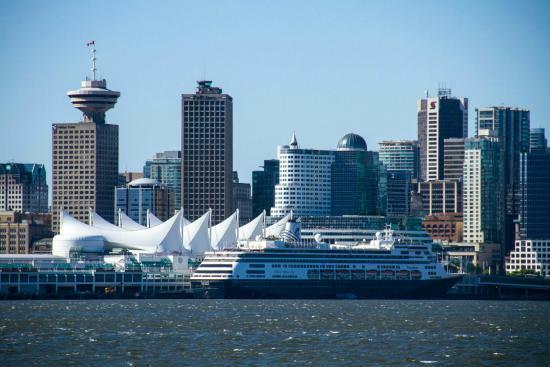 Not only is Vancouver a visually stunning location which offers tranquil lakes, ski-fields and a stunning waterfront but Vancouver is also an extremely safe city, which is easy to navigate and which offers countless conference centers and business related amenities. As an added selling point Vancouver also has a population of around 631,000 and as such is a great location to consider sharing your business’ products and services with. If you’re interested in expanding your business to feature brand new locations, in an effort to increase your business’ customer base, profit and revenue! So if you’re looking for the perfect location for a future business meeting, conference or event, it’s a great idea to add Vancouver, Canada to your shortlist of possible locations. Whilst in Vancouver, also make sure to try out a few of Vancouver’s world class restaurants, many of which are located on the waterfront and offer unbeatable views that you’ll never grow tired of. Abu Dhabi is quickly becoming one of the fastest growing business destinations in the world. So if you’re looking to visit a wealthy destination, which boasts plenty of money to sink into your business, you can’t go wrong pitching your business to interested stakeholders in Abu Dhabi. Furthermore Abu Dhabi is also becoming a popular destination for business trade shows, so if your industry hosts an open event in Abu Dhabi, it may be well worth attending. Another reason why you’ll love doing business in Abu Dhabi is that not only does Abu Dhabi offer modern, state of the art business facilities but Abu Dhabi also offers four and five star resorts which feature stunning infinity pools, spas and on-site restaurants. So if you’re looking to be pampered on your business trip, you’ll love doing business in Abu Dhabi. In conclusion, no matter which of the 3 business destinations you choose for your next business trip, you can’t go wrong as all 3 destinations are among some of the most incredible business destinations in the world!